Whether you are looking for an overnight pampering, or want a two week luxury break, Paphos has the resorts to meet your needs. A selection of locally recommended hotels and resorts in the Paphos region. Save serious money by comparing prices between the various travel sites we have listed. Find out who flies to Cyprus. 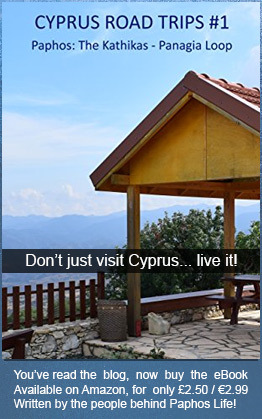 Bear in mind that Larnaca Airport is under 2 hours drive from Paphos, so don't rule out that as an option. These days, getting the most euros for your pound is a necessity. You can of course exchange money in Cyprus, or abroad, but these companies may also be able to help.